← Kast Hill Studio Mosaic Events and Happenings! 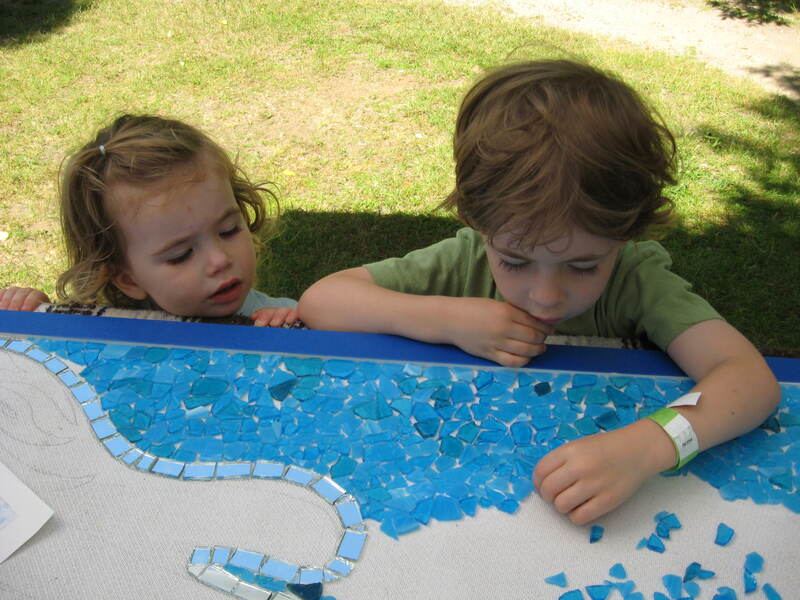 Making Mosaics in this Heat! The long and the short of it is… I’m not! (At least not until this Thursday, but more on that in a minute.)) Instead I’m figuring out how to keep the heat out of my studio and avoiding plugging into “the grid” with A/C! Looking into tinted window film for upper windows, making insulated roman style shades for same and simple push aside curtains for the lower windows- all 7 windows, plus 4 upper windows, including the picture window. A LOT of sewing which I think will have to happen in the house- where the FAN is! please and thank you very much! This event is being improved over the past year’s with more music, better food and more activities for families/children. I will have a Community Mosaic Project set up so be sure to stop by and add a piece or two or three! (I believe we are there each day from 10 to 9 or so.) Hope to see ya there! This entry was posted in Uncategorized and tagged A/C, community mosaic project, concord, curtains, heat, insulation, making mosaics, Market Days, nh, sewing, the grid, windows. Bookmark the permalink.